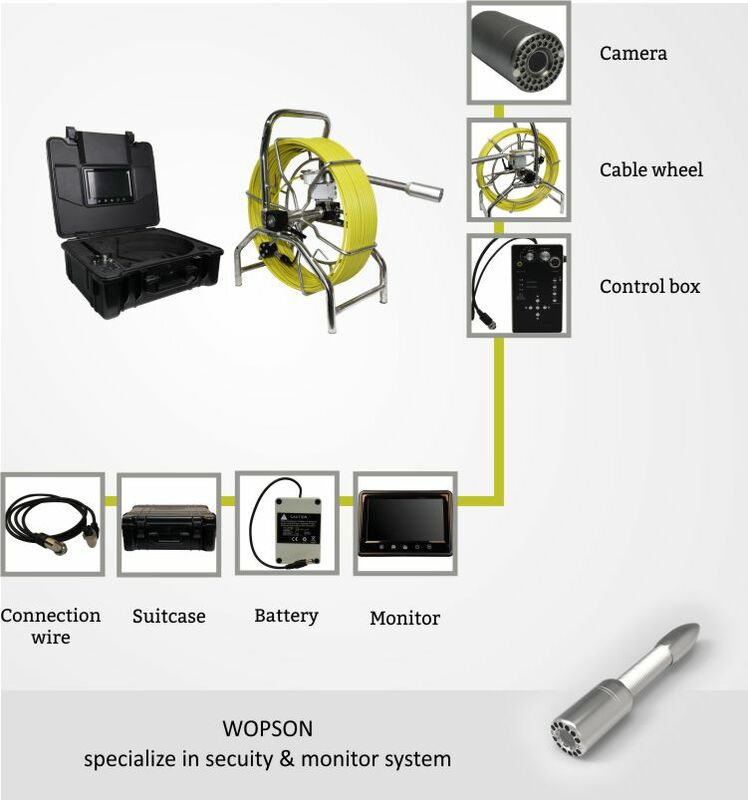 Endoscope pipe camera wps-914dnc-c40, 5CM diameter, with light source, pipe camera can be in the dark and narrow pipe internal reconnaissance, detection, pipe camera overall use of aluminum box packaging, easy to carry, high-definition CCD camera, with night vision function, optional with built-in capture card function. 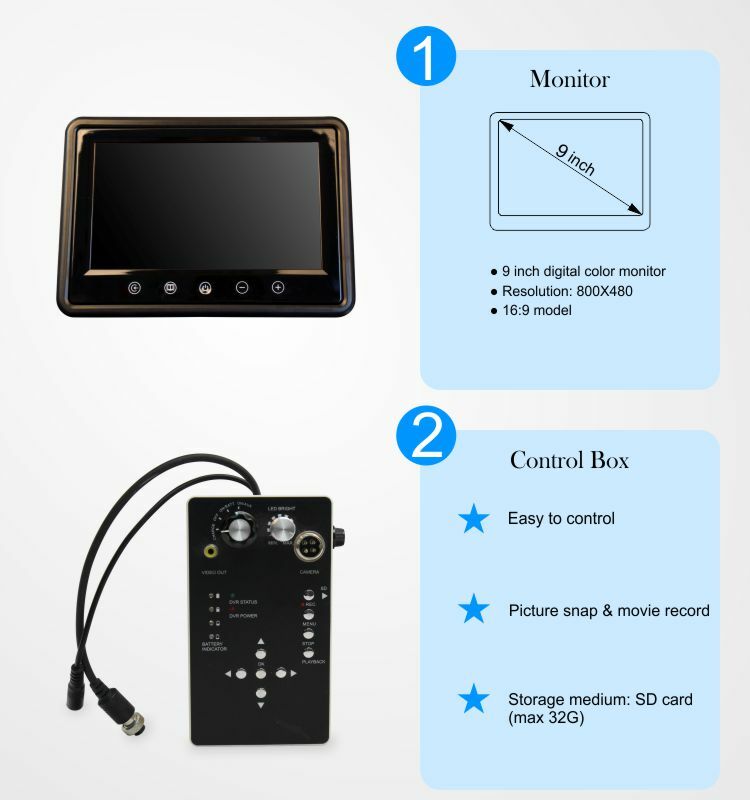 , 7-inch digital display, no radiation, environmental protection. 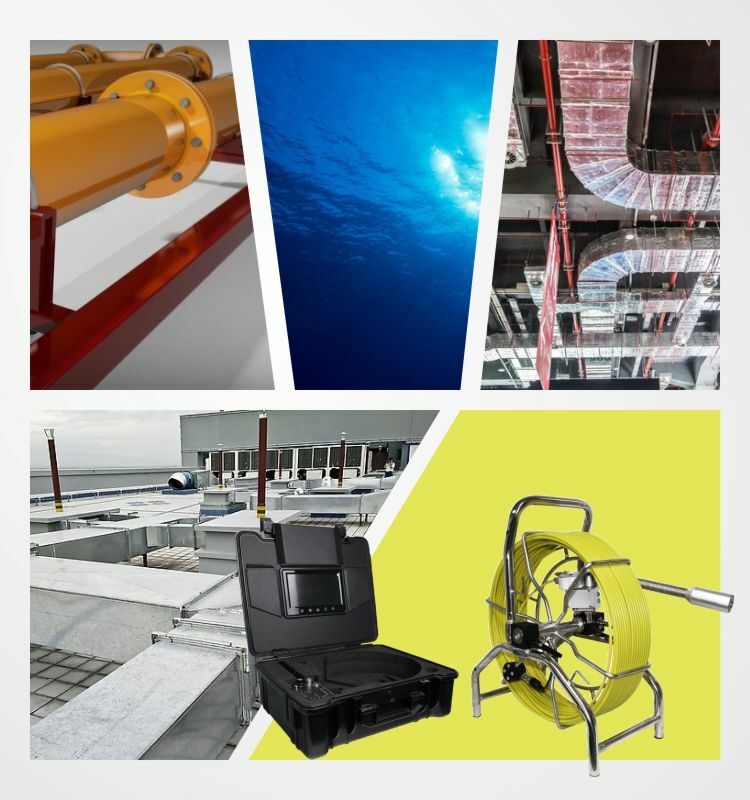 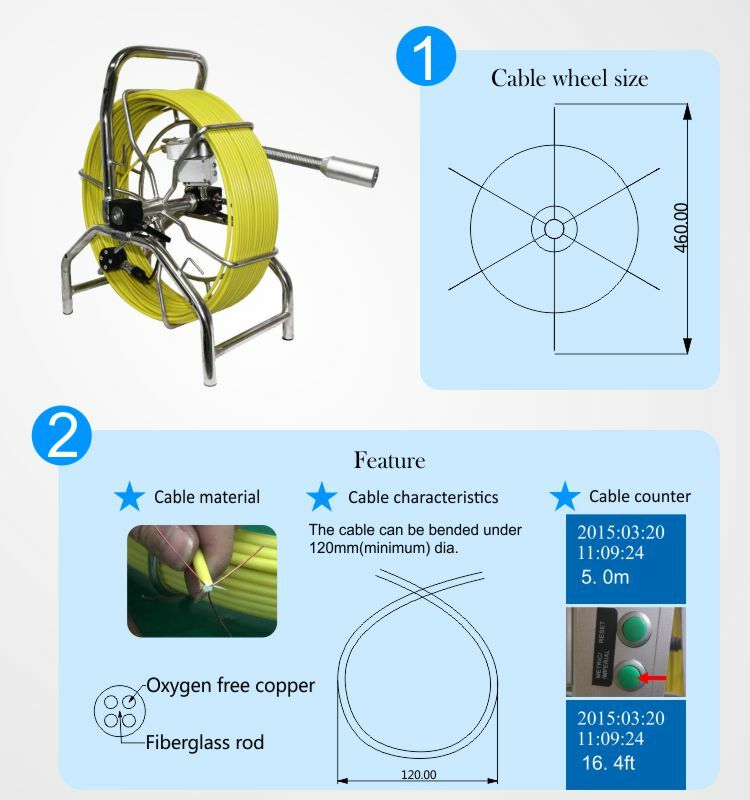 Pipe camera uses: industrial piping out of the question is very troublesome, the pipe camera can be used to directly observe the internal conditions of the pipeline, and then repair. 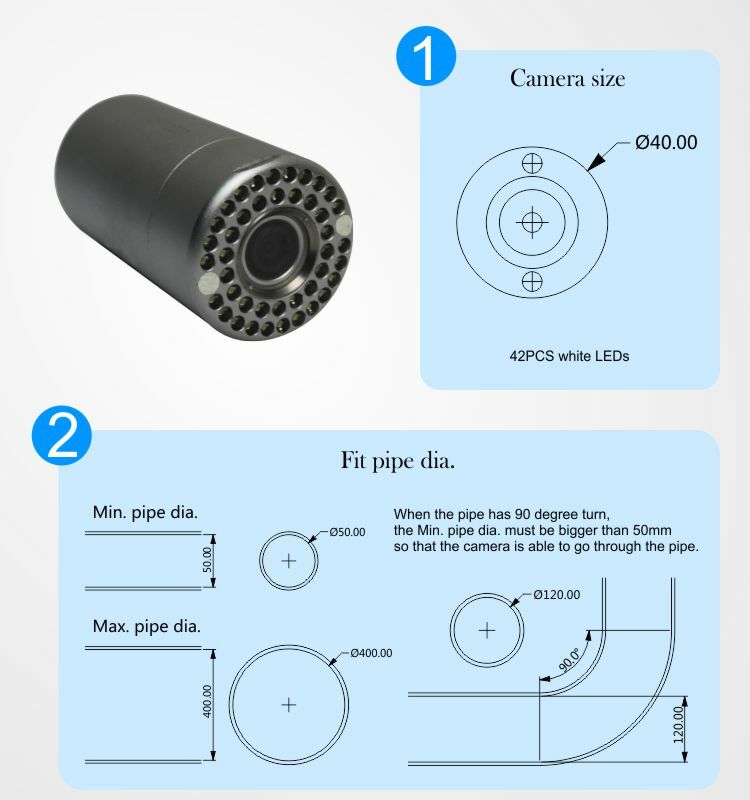 Pipe cameras can be used in a variety of pipe environments, pipe camera diameter of 5cm, with light source, can be in the dark and narrow pipe inside the survey ... A pipe camera can help you clean the garbage inside the pipe and detect the inside of the pipe faster and more accurately.